Hat Models of "Séduction". Art deco fashion 1921. Home » Hat Models of “Séduction”. 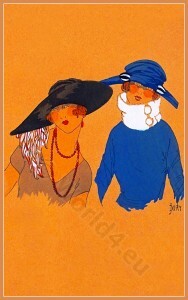 Art deco fashion 1921.